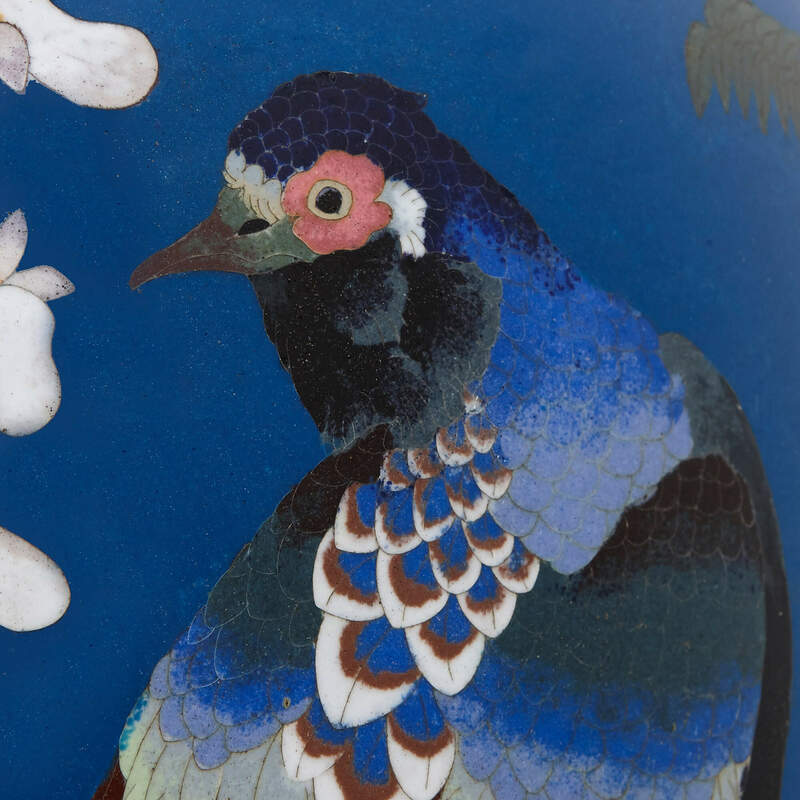 This is a beautifully decorated and wonderfully detailed Japanese vase, featuring intricate images of the natural world completed in cloisonne enamel. 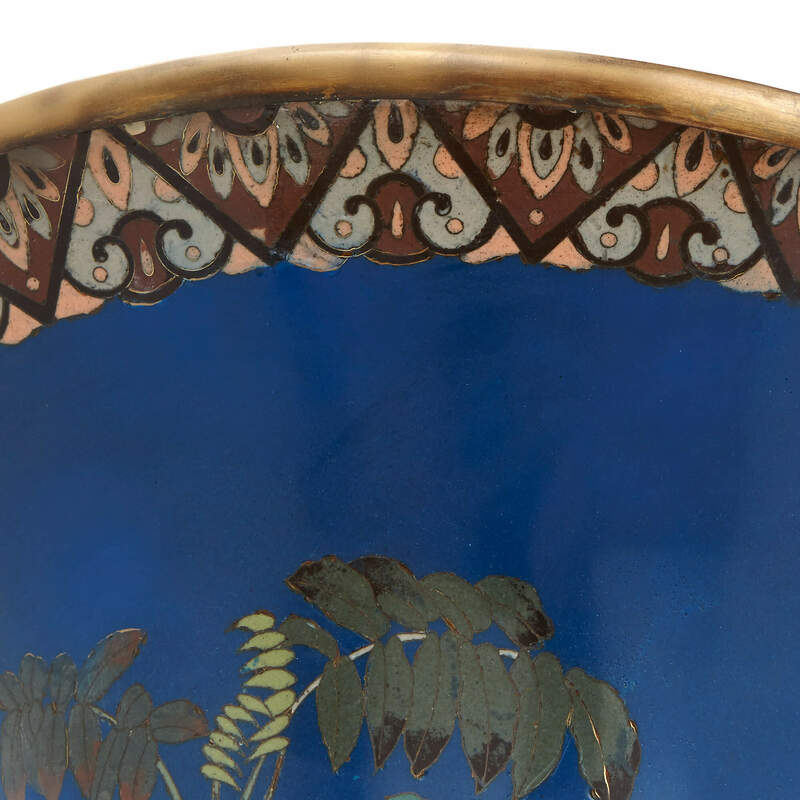 It is thanks to superb pieces like this that the late 19th Century Meiji period in Japan is often referred to as the 'Golden Age' of cloisonne enamel. 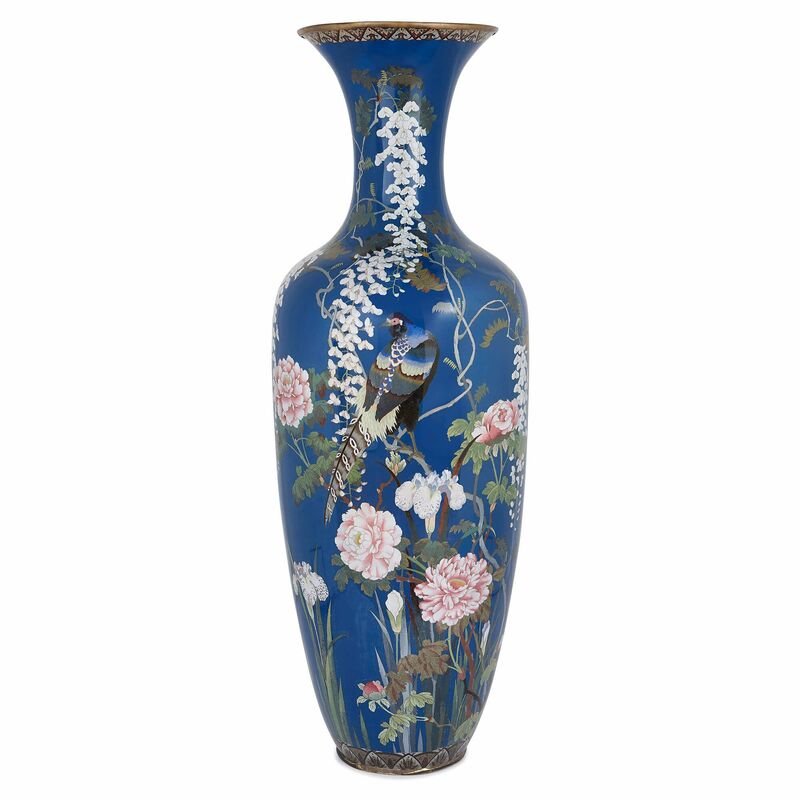 The vase measures one and a half metres in height and has therefore clearly been designed to occupy a prominent position in a room. 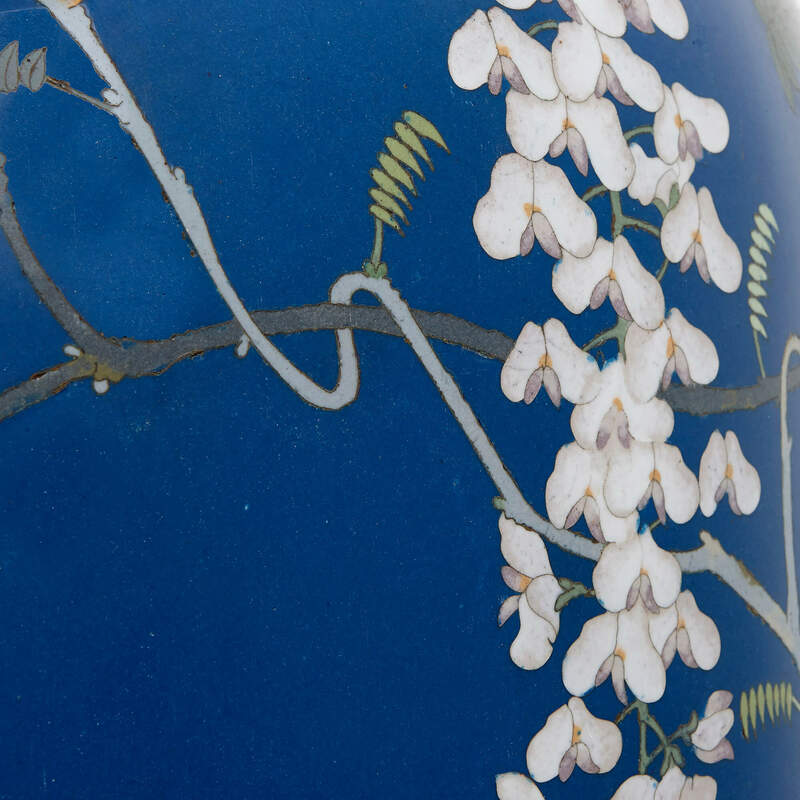 Despite its large size, however, the vase exhibits the same intricacy of detailing that one might expect to see on a smaller piece. 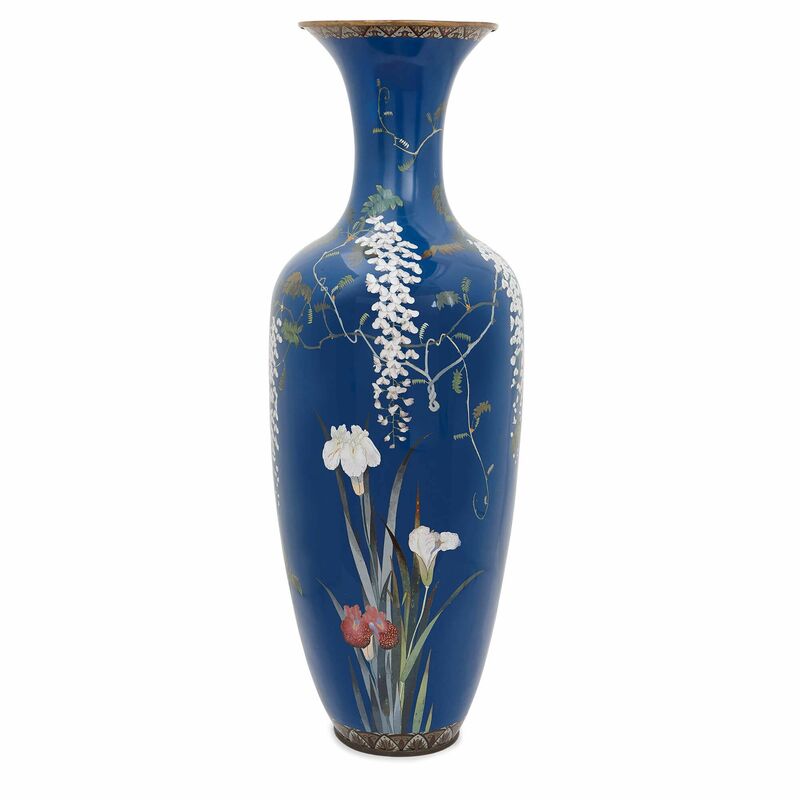 The vase is tall and ovoid in shape with a slender, flared neck. 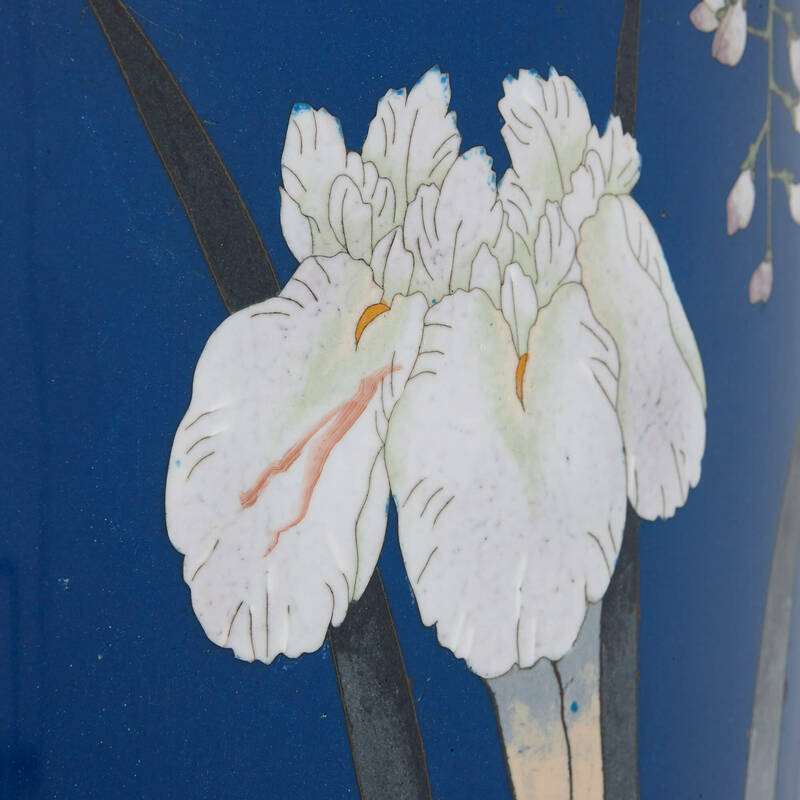 and features enamelled depictions of flowers, grasses and exotic birds on a dark blue enamel ground. 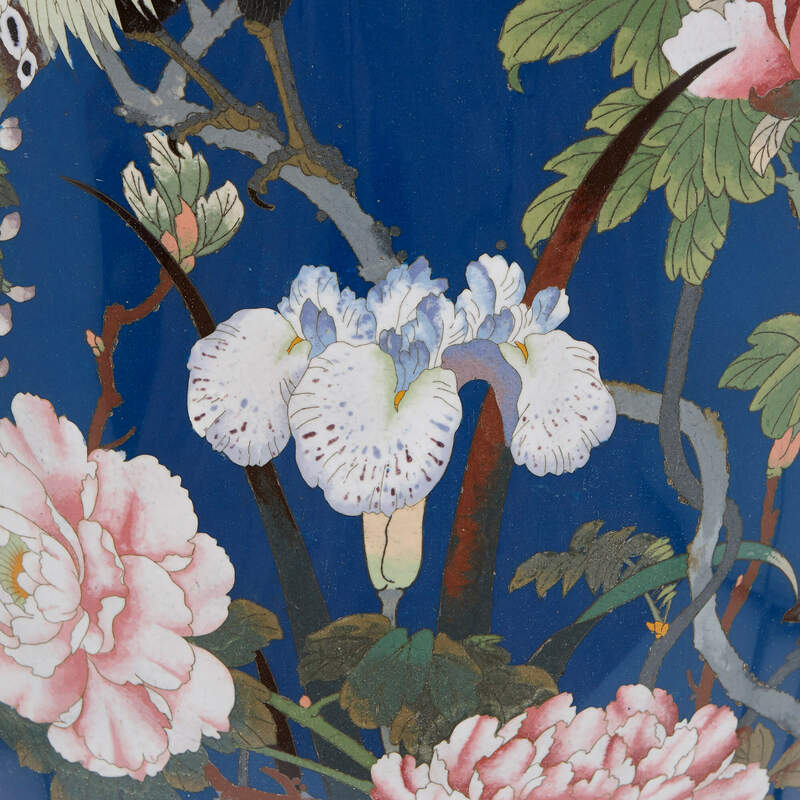 The decorations have been depicted using the cloisonne enamel technique: a technique which, though difficult to master, can attain an extremely high level of detail and intricacy.